Aotearoa, which means "Land of the long white cloud" in Maori, brings a strong imagery in people's minds, and most of it is coming from the South Island of New Zealand. Contrary to the North, the South Island is much bigger, larger and deeper. It is almost as if the South was three sizes bigger, an XXXL vs. a L t-shirt. 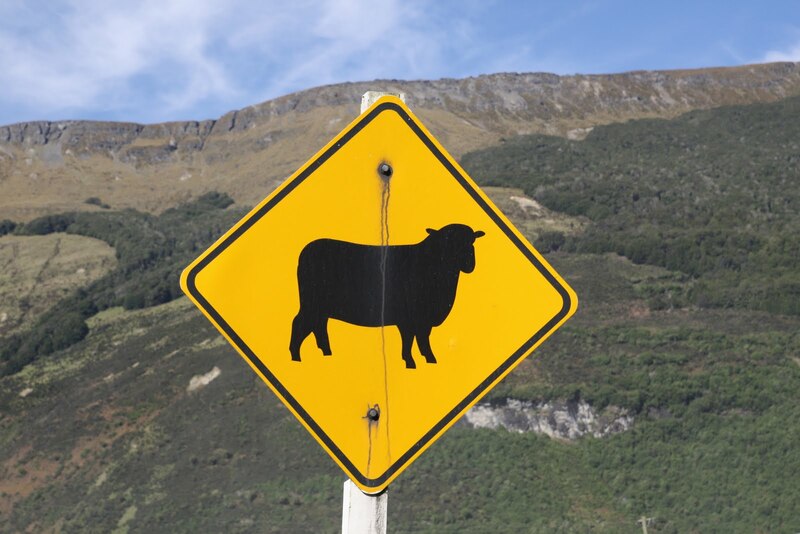 In this part of the country, Kiwis (named after the flightless bird during WWI) and tourists alike are outnumbered by cows (6 million) and sheep (40 million). Traveling in South Island is like driving across a giant farm with one asphalt road crossing the estate. You don’t actually need a GPS, because [a] it’s usually out of focus and [b] it gives useless info (“Turn Left in 180 km”). No matter how you want to explore the South Island (clockwise or counter clockwise), the only decent road that goes around the country could not be missed. Everywhere where eyes can lay has cattle or sheep in the picture. The good thing about it is, there is nothing bad to say about the lamb rack and other meat meals except that daily intake is a gargantuan delight, and also that portions were sized up for a hungry giant sheep shearer who requests his first meal after a three-week tramping across the mountains. You can gain kilos by just looking at menu. Everything is XXXL, including meals. Volcanoes, valleys, plains, rivers, lakes, glaciers, national parks, and one road. Everything has been designed to enjoy nature at its best. From Queenstown, the adrenaline-pumping city to Wanaka, the-quiet family village, the south part of South Island is covered with world-class trekking and jaw-dropping landscape. Take your time to explore the Southland region even more than the other parts of the islands. Nothing can beat the things you can see in this part of the world, and it is very difficult to extract one or two places out the many there. But under pressure, one can mention that Queenstown, Wanaka, and Fox Glacier regions are must-do. It will depend on what you prefer, how much time you have and what you can afford to trace your travel plans, but these three destinations must be attacked head first. It seems that even if you spend a life time exploring the region you wouldn’t see everything that nature has to propose. For me, South Island is reasoning with long drives across fantastic landscapes, cutting though changing weathers, listening to 80’s music, dipping marshmallows in hot chocolate and trying to fit the 360-degree, larger-than-life panoramas inside my tiny camera. It was also a compilation of first-timer experience for me: first time walking on a Glacier, flying in a helicopter, receiving a speeding ticket, and experiencing an earth quake. XXXL South Island is a must-do in a traveler's life, and certainly the best way to do it would be to drive around in a camper home to be able to stop on a heart beat to appreciate the landscape. Even more than in the North, the South Island part of New Zealand needs a lot of time to explore. If you don't have time to do so, you will need to choose from a gigantic list of places and activities. Many things will be left out, but some need to be seen for sure, such as mountains, lakes, glaciers, wines and oceans. This is what I chose for a one week vacation on the South Island in New Zealand. 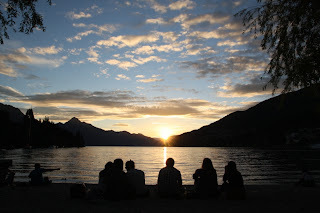 "Speechless" was the first thought I had when entering the beautiful city of Queenstown, and then minute after minute the initial impression faded out to be replaced by another one: "natural beauty". QT is by nature a natural wonder in the New Zealand landscape. Only a few places in the world can combine beauty, elegance, majesty and peacefulness altogether in one shot. It seems to be the central place for serenity in New Zealand. One can stay one year and still not do everything possible around the beautiful city, but a few days must be put aside to enjoy some of the things the city can offer: skiing in the winter and sweating in the summer. If I have to remember only one place in NZ, that would be QT. Corner Earl Street and Marine Parade, Queenstown 9197, New Zealand. The Novotel is just in front of the lake, but don't get too excited as no room has really a great view of the lake. You might have a peak at the water if you lean over the window, but not much. In reality no hotel has a great lake view, since all buildings are pretty low rise for keeping the QT vibe. This small fact aside, the hotel is extremely well located and has everything needed to spent a week ... and more. Beach St, Queenstown 9197, New Zealand. At the end of the wharf lies many restaurants facing the pier and the TSS steamboat when it is at quay. Among them is the fiNZ, an expensive and ordinary fish restaurant. Not too sure why so many people were lining outside ... maybe because it was one of the few open for Boxing Day. 42 Shotover Street, Queenstown, New Zealand. Do I really have to present the world-famous Fergburger !?! OK, so this is the place to have a giant yet freshly made burger in the city. After 3 days tramping the mountains or a full day of skiing, anything from Fergburger is more than necessary and welcome. Don't panic when you see the line outside, the throughput is phenomenal, plus that will give time to buy Fergburger clothes or look at the pictures on the wall. Brecon St, Queenstown 9348, New Zealand. It wasn't the luge (although it looked fun), but the view at the top that I came for. The NZ$25, 2min ski-lift made the visit atop worthwhile despite the crowd. If you walk 15 minutes more after the luge you will be at the paragliding takeoff spot with a beautiful view of the lake beneath. If you are bored in QT, it's because you want to be. I never saw so many different activities offered in one place. It's so big that the visitor center is as big a train station with guides who watch you entering the place with daring looks: "So you are an adrenaline junky? Welcome home !" Going fast, going down, going up, fly high, flying low, running slow, driving down, watching high, surfing fast .... everything is possible at QT, just ask and some has done it before. When the day is going away to give you a chance to rest for the next day, don't miss the sunset on the beach. You won't be alone though. Now if you are into tramping, the Queenstwon Hill (2-3 hours) is supposed to be unmissable, so is the Routeburn Track (2-3 days) or the Milford Track (4-5 days). At the end of the road hides a small village, away from the busy Queenstown. Glenorchy is the perfect picture of what could be a village lost in the mountains with 4 streets and 3 cafés. Locals are here to listen to trampers' stories and tourists' questions. A nice place to rest a bit for the next big thing you are going to do that day. Cnr Mull & Argyle Streets, Glenorchy, New Zealand. Large portions of protein and lot of space in this saloon. If it was the last open place in town you might want to consider it, otherwise find something else (or pack a sandwich). Like its sister QT, Wanaka is primarily a resort town but has both summer and winter seasons and is based around the many outdoor opportunities. Considered less upscale, the city kept a grounded touch that make it more livable for tourists. Until when ? Ardmore St, Wanaka 9192, New Zealand. 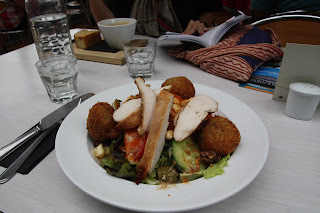 Slow service, great food and large portions make this place a must try in Wanaka. Make sure you have a spot with a lake view, your meal will be even more relaxing. The homonym city of the famous Fox Glacier is a quiet place dedicated to the day tourist. No fancy stuff around this small crossroad in the plains. If you want more action you better go to the next bigger crossroad, the Franz Josef village. 55 Main Road, Fox Glacier, 7859, New Zealand. Drop in, drop out, car park, plastic shower, cozy sleep, on the main road. The owner is very diligent and ready to answer any questions. Main Rd, Fox Glacier, 7951, New Zealand. No restaurant is open at 4PM in Fox Glacier, so the only warm food was a pizza. I did not expect anything and I got a pizza in return. Was on the expensive side for what it was. Lake Matheson Rd, Fox Glacier, 7859, New Zealand. Sold as the best place in the region to eat, my expectation were high when I pushed the door of the terrace. It is true that the lake view, and the Alps as a side view are great. As for the food I found it a bit too expensive for a below average "sous vide" fish. 19 State Highway 6 Fox Glacier 7859, New Zealand. If you are hungry after 10 days' walking in the mountains, you have $10 left in your pocket and you are ready to eat a cow by yourself, then Cook Saddle Saloon is the place for you. Wooden chairs, round tables, and chimney in the back are the decor of the restaurant. As to what is comes on your plate, don't you worry you will have enough to content you and your calorie-burning activities for the next few days. Lake Matheson offers a 90-minute easy circuit walk takes you through a forest. After the walk, the evening sunset over Mount Cook and Mount Tasman provide unforgettable views at the entry/exit of the walk. When people think of glaciers, they usually think high mountains, 4,000+m altitude, and long and perilous walks to see a glacier at close sight. New Zealand offers many glaciers, but these two are accessible within less-than-an-hour easy walk. Both are magical and surprising. The one to one-and-half hour walks are both surreal and help grasp what nature can do. This is a must do. Now if you have time you might want to envision walking on either of them. Many shops offer a one day (8 hours) walk up and down the glacier. This is moving ice and must be taken seriously, accidents do occur despite taking a lot of precautions. I booked the day before for an early flight in the morning. At 9:45AM I was ready to fly off to see Mount Cook and the two glaciers. The one hour flight was PHENOMENAL above the glaciers, and the landing on Fox glacier was even more magical than I anticipated. Like magic the clouds opened up when we were in the sky and closed after we landed. That day we had the perfect window to fly high in the sky. Helicopter Line was very professional, gave us the security advices, and made our try above ground a unique experience. The Maori name for the glacier is Ka Roimata o Hinehukatere ('The tears of Hinehukatere'), arising from a local legend: Hinehukatere loved climbing the mountains and persuaded her lover, Wawe, to climb with her. Wawe was a less experienced climber than Hinehukatere but loved to accompany her until an avalanche swept Wawe from the peaks to his death. Hinehukatere was broken hearted and her many, many tears flowed down the mountain and froze to form the glacier. SH 6, Franz Josef, 7952, New Zealand. This is the place to stop after a long walk. Portions are huge, service fast and bill still acceptable. One advice though - order from the kids menu as you will not finish what they bring to the table otherwise. Christchurch is the largest city in the South Island of New Zealand, and the country's third-largest urban area. On 22 February 2011 at 12:51 pm, an earthquake with magnitude 6.3 occurred. The intensity and the violence of the quake was among the strongest ever recorded globally in an urban area. The quake resulted in the deaths of 181 people and in the declaration of New Zealand's first National State of Emergency. Many buildings and landmarks were severely damaged, (e.g., 'Shag Rock' & Christchurch Cathedral), and since then the city center has been declared a "Red Zone" (unsafe to walk in) and waiting to be to be demolished one building at the time (latest news). The city has been totally damaged by the earthquake and it will take a while before normal activities will finally resume, if ever. The remaining question is why rebuild on such a sensitive earthquake ground? 876 Colombo St Christchurch Central, Christchurch 8013, New Zealand. One of the few remaining safe downtown places to spend the night at. Rooms are still standing, very spacious, and the two old ladies that run the place are very diligent and knowledgeable. 449 Memorial Ave Burnside, Christchurch 8053, New Zealand. The airport hotel you want to have at every airport in the world. Spacious, comfortable, nice room, vast bathroom and free pick-up and drop-off to and from the airport. Might be on the upper side of the price list though. 4 Papanui Rd Merivale, Christchurch 8014, New Zealand. In a city center destroyed by an earthquake it is hard to find an untouched or still standing place to eat. Among the remaining places around downtown at the fringes is this tucked-in Thai restaurant. Portions are once again huge, service fast and price average. For when hungry. Displaced burrito place from the city center, is now located 20-min drive away in Northland Mall for convenience and safety. The only open fast food chain on a Friday night, the place was packed and therefore service slow. Potions were OK for once, but the bill was not. I guess they drove out the competition. 780 Glasnevin Road, Waipara 7447, New Zealand . 40km or so away from Christchurch is a nice wine valley for tourists on the go. Among the few wineries there The Mud House also proposes a restaurant. Vast place with a high turn over cannot provide the service that should be deserved. Nevertheless, the wine and food mix was descent and should not be overlooked. The French Akaroa is 84 km by road from Christchurch. Set on a beautiful harbor and overlooked by craggy volcanic hills, Akaroa is a popular resort village and in the summer the temporary population can reach 7,000, far over the 500 permanent residents in the winter. 57 Beach Rd, Akaroa 8161, New Zealand. After walking the town and checking menu selections and prices at all the restaurants, I settled on Bully Hayes. The restaurant was in a very good location overlooking the harbor and a great place for people watching. Decent seafood restaurant with great selection of snacks. Portions were again huge and prices were accordingly. In conclusion, besides sheep farming, tourism in South Island is the only thing going on and therefore prices are high and quality average. Hotels in general are OK but standard for the price. Food to the contrary was abundant but poor in quality. Activities when not free, are very expensive. In other words, New Zealand South Island is an expensive tourist destination but with a memorable, unforgettable scenery. When people look at a map of the world, one of the four ends of the planet, on the bottom right corner, is a strange shaped group of islands called New Zealand (Dutch cartographers in 1645 renamed the land Nova Zeelandia after the Dutch province of Zeeland). This large place with only four and half million inhabitants is well known around the world. Immediately pictures of large lakes, high mountains and vast valleys with glaciers come to mind. Nothing is more inaccurate of these images than the New Zealand - North Island. The Champagne Pool at Wai-O-Tapu, near Rotorua. its surface temperature is 74 degrees Celcius. Three quarters of the population live in the North Island. The smaller of the two islands is in fact the best place to find all the great opportunities that New Zealand has to offer. The north side of North Island has the best beach spots around; Auckland and Wellington are continuously fighting for the heavy-weight best-food-champion title; and the region around Taupo-Rotorua has the best live observable volcanic activity in the Pacific region (must see the Wai-O-Tapu volcanic park, and its daily 10:15am geyser eruption). But North Island is not deprived of natural beauty and national parks. In fact Whanganui National Park (river canoe, tramping), Tongariro National Park (tramping, skiing) and Egmont National Park (tramping around volcano) are among the most visited and oldest protected parks in the world. Some of the National Park landscapes were used for the now famous “Lord Of The Ring” movie trilogy. North Island is very much blessed by Mother Nature. The hilly valleys spread around the southern part of North Island offer fantastic day-trip chances to tie trekking-shoes on and to tickle the camera power button. But also the moderate climate and rich soil provide the basic ingredients for an authentic and powerful wine. From the art-déco Napier to windy Wellington, the long road gives many opportunities to stop and enjoy a delightful lunch with a glass (bottle) of wine. Nothing will be enjoyable without a nation ready to welcome the lost tourist. Both the Pakeha and the Maori are delighted to explain what makes their nation the best nation on earth when it comes to sailing around the world, playing rugby against the world, or taking their time in life despite the world. Maori culture, one of the oldest on this planet, has managed to free itself up to us despite war, germs and colonization. It is depressing to find that the only chance for tourists to encounter the oral Maori culture is around Rotorua in the rebuilt villages (Tamaki Maori Village) or at Te Papa Museum in Wellington. More should be done to recognize what happened then and what is done today. Nevertheless it was a very special time around Christmas 2011. New Zealand had just won for the second time the Rugby World Cup (1st in 1987 and 2nd in 2011 both times against France). The entire nation came together to enjoy what was thought to be a well deserved World Cup, since it was played at home. The entire nation was still dressed in All Blacks months after the final victory, recovering from a massive French champagne hangover with large smiles crossing their faces. The sense of pride only equaled their scare they experienced during the World Cup. What if we lose the Web Ellis trophy at home? Once again the rugby gods dropped the ball on the right side and made a rugby nation even crazier about the game, if it was even possible (a TV channel dedicated to rugby!). One week is not enough to enjoy what North Island has to offer, but a tactical planning, the chance to meet great people, and an enjoyable weather can turn a short stay into a memorable and fun trip. Unless you decide to spent an entire life exploring New Zealand, one has to choose on where to go and not go for a short vacation trip. The first big question is to decide between the vibrant and lively North and the immense, scenic South. And then when settled down one has to still choose between mountains, volcanoes, cities, plains, tramping, surfing or sunbathing. This is what I chose for a one week vacation on the North Island in New Zealand. Of course by choosing this itinerary, I left out a lot of nice and unforgettable places to visit, but so was my choice. Auckland is a city squeezed between two oceans. Anywhere you look at you can see the sea. This is what could be considered as an ideal capital for a fisherman. Low rise houses make it even more manageable for investigation around the place. A nice online resource is the Auckland Big Little City guide, also available in pocket format for free. Cnr Federal & Victoria Streets, Auckland 1010, New Zealand. 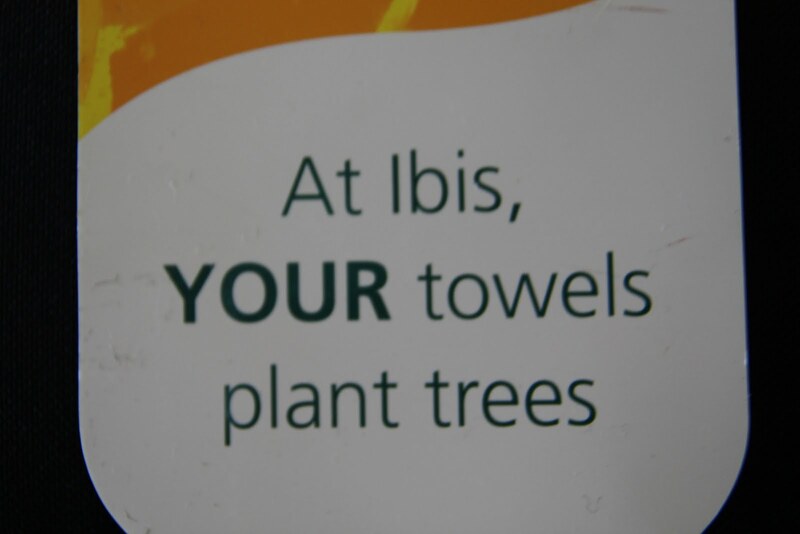 This 4-star hotel has it all. Very central (imagine living at the bottom of the Sky Tower) clean and very spacious, the hotel is in fact the primary destination for all the casino addicts in the city. If you want to enjoy a nice view, you'd better find something else. The convenient idea is that from anywhere in the city you'll be able find and see your hotel. 150 Ponsonby Road, Ponsonby 1011, New Zealand. I would not have chosen this Italian restaurant unless it was the only one open on a rainy Sunday night on Ponsonby Rd. Despite the large plate and OK service, I would not go back again, especially after seeing the bill at the end of the dinner. 16 Fort Street, Auckland, New Zealand. This unpretentious vegan place could be the hidden gem of the city. Cheap, fast, healthy and large portions are making happy faces around Auckland. Saint Patrick's Square, 43 Wyndham Street, Auckland 1010, New Zealand. Fine dinning in Auckland. Next to a church, and at the end of a long cul de sac, the 20-table restaurant offers some of the best in the city. Excellent food and service are here to pleased the difficult crowd. Must try and book in advance when on a celebration. You can't miss it. It's right in the middle of the city at the highest point in town. The 360-view from above is nothing short of spectacular. If you want to have a bit of thrill, you can try to walk around the tower on a tiny metal path 300m above the ground. And if this is not enough you can also fall in less than 11 seconds attached to a string! Auckland is a walkable city and among the many things to do, the newly renovated harbor for the RWC11 and the city center are worth a try. There is a free bus for tourists that can bring you from Britomart Train Station up to Myers Park. A small country-side city that is worth visiting if you don't know what to do otherwise. This is the place to sleep and explore the neighboring interesting sites. Lake End Rangiruru Street, Rotorua 3010, New Zealand. Plastic hotel in a lake town next to the most import building of the city: the restaurant lane. 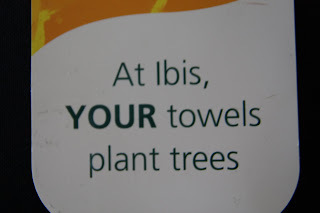 Working Ibis hotel with a parking. 1161 Arawa St, Rotorua 3010, New Zealand. Unmissable café with its blue and yellow facade. The portion are as huge as the painted dog outside. A safe bet would be to order for one and share with another person. 1096 Whakaue Street, Rotorua 3010, New Zealand. Tucked away from the city center, Lime is almost facing the lake a couple of blocks away. Outside tables makes the breakfast experience a delight in the city. Be sure to try all the small cakes in the window before someone else has the same idea as you and take them all. Never had a better idea to start a long day driving than with a hot chocolate at Lime. Must stop by. 1220 Hinemaru St, Rotorua, New Zealand. 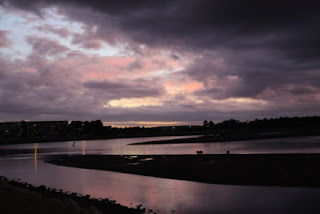 Discrete by nature, the Maori culture is all in at Rotorua, and among the best three Maori villages in the neighborhood, Tamaki seems to be the place where the food was acceptable. Taken away by bus, hordes of tourist land in an authentic yet transported Maori village in which tattooed locals are explaining what their millennial traditions used to be. A traditional meal seals the end of the 3-hour evening tour. If you choose Tamaki make sure you end up with Mark the hilarious yet knowledgeable bus driver. The 45-minute drive back and forth will fly fast, guaranteed !!! Long Mile Road, Rotorua 3046, New Zealand. If you love the outdoors this area is for you! Famous for its magnificent stands of towering Californian Coastal Redwoods it is just five minutes drive from the city center. Here you can experience some of the finest walking and mountain bike trails in the world. Not to mention taking in superb panoramic views of Rotorua city, lake and surrounding district. Lake Tarawera is the largest of a series of lakes which surround the volcano Mount Tarawera in the North Island of New Zealand. 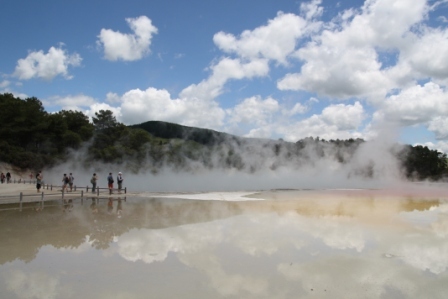 It is located 18 kilometers to the east of Rotorua, and five kilometers to the west of the mountain. The route to see the Lake Tarawera is crossing a Blue and a Green lake where locals enjoy their time off to cool off from the hot city. This short drive represents best of what New Zealand has to offer: mountains, lake and quiet time to enjoy the scenery around you. This giant lake is the primary destination for tourists hungry for water activities in the region, but there is so many lakes in New Zealand that I would rather go somewhere else, although the drive along the shore to Lake Taupo is impressive. Wai-O-Tapu Loop Rd, Rotorua, New Zealand. The "Sacred Waters" (in Maori) is an active geothermal area at the southern end of the Okataina Volcanic Center, just north of the Reporoa caldera. The area has many hot springs noted for their colorful appearance. Worth noting are the Champagne Pool and the Artist's Palette among the various mud pools, geysers, steaming volcanic lakes and mineral terraces available to see in the 18 sq km park. 587 Waimangu Road, Rotorua 3043, New Zealand (20 mins south of Rotorua). Self-guided walks and hikes or guided eco tours are available through the world's youngest geothermal system. Created from the massive 1886 eruption of Mount Tarawera, Waimangu today offers a choice of easy walks through volcanic craters, advanced hikes and the Lake Rotomahana boat cruise. Depending on how much time you have to wander through the site, activities range in duration from 45 minutes to over 4 hours. An hourly bus will bring you back to initial parking lot. Taupo is the quieter sister to Rotorua, with more family-oriented activities. If you want to get away from tourists, Taupo would be a better spot for you than Rotorua, although this place is quite a hot spot during the high season. 45 HeuHeu St, Taupo 2730, New Zealand. Replete Food Company is regarded as a local institution. Established in 1993, it was designed originally to sell a wide range of deli products, anything from homemade Stilton pate to bacon and egg pies, but the shop moved quickly to the next door shop, and opened a restaurant. The main objective, as its name suggests, is to have the cabinet completely stocked with tasty but simple food, and for their customers to feel replete. Guess it's working pretty well indeed. The falls are more like a massive swarm of rapids, a sort of horizontal Niagara Falls, ready to be mastered by crazy water jetboats . The falls area is viewable from an easily accessible bridge nearby. At Huka Falls ("foam" in Maori), the Waikato River which is normally 100m wide, is squeezed through a 20 meter-wide gorge and over a 20-meter drop. Every second, up to 220,000 liters of water gush through the gorge and shoots out over 8 meters beyond to create a beautiful blue-green pool. With a surface area of 616 sq km, Lake Taupo is the largest lake by surface area in New Zealand, and the second largest freshwater lake by surface area in Oceania after Lake Murray. Lake Taupo has a perimeter of approximately 193km and a deepest point of 186m. Tourism is a major component of Taupo's commercial sector, and the city attracts over 1.2 million visitors per year, specially around busy Christmas and New Year. The lake is in fact closer to an internal ocean than a true lake, and is a must-do for sunset. Established in 1887, Tongariro was the first national park in New Zealand and the fourth in the world. It is also a dual World Heritage area, a status which recognizes the park's important Maori cultural and spiritual associations as well as its outstanding volcanic features. Hiking (or tramping) is the main activity in the park. It is home to one of the most famous day hikes in the world -"The Tongariro Crossing". The park has numerous huts for those who wish stay overnight in the park doing extended hikes. There are various multi-day hikes available with tracks crisscrossing the park. The famous Great Walk, the Tongariro Northern Circuit, is very popular and takes four days to complete a circuit around Mt. Ngauruhoe. 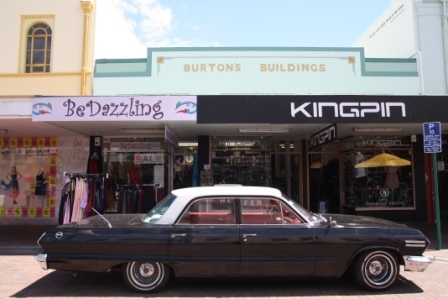 With over 122,000 people, Napier-Hastings is the fifth-largest metropolitan area in New Zealand. On February 3, 1931, the center of Napier was destroyed by the earthquake, and later rebuilt in the Art Deco style popular at that time. Today the city still has a fair amount of Art Deco inspired buildings and is a well situated city to explore the nearby wineries. Corner Tareha Street & Meeanee Quay, Napier, New Zealand. Just outside the tiny city of Napier, the motor lodge is a car park hotel next to the sea. Quiet and clean, this hotel is designed for travelers who want to sleep well between long drives. No stay over for a long period of time despite the kitchenette. 409 Marine Pde, Napier 4001, New Zealand. It is quite unusual to find an Indonesian restaurant outside SE Asia, and this one has some flavors that could be close to what an Indonesian restaurant would offer outside the motherland. The food is average and price OK, but does not deserve its enthusiastic reviews on TA. I never like it anyway when an owner asks me to write a good review on TA to keep their top spot. 28 Tennyson St, Napier 4001, New Zealand. Greasy, expensive and too-big portions. Only the Maori bread was an interesting experience in this over-raved place. 198 Church Road, Greenmeadows, Napier, New Zealand. Housed in an elegantly restored historic seminary building with sweeping views of Napier, Mission Estate offers visitors a complete wine experience with tasting, visits and restaurant. The backyard is certainly the best place in the city to enjoy a nice lunch and glass of wine under the shade of a vineyard. Special mention to their Cabernet Franc 2008. 253 Waimarama Road, PO Box 8749, New Zealand. Certain places are blessed by their location. Craggy Ranges one of them. At the foot of the Te Mata Peak, Craggy is protected by a giant. The wine that comes out of this spot is unique and rich at the same time. Their restaurant "Terroir" (means "soil" in French) is a immense round living room with a sizable chimney in its middle. The poured French influence (music included) has been well distilled by local owner to provide what New Zealand can give best to the world's wine community. Special mention to their "Le Sol" 2007. 2375 Rte 50, Hastings 4201, New Zealand. 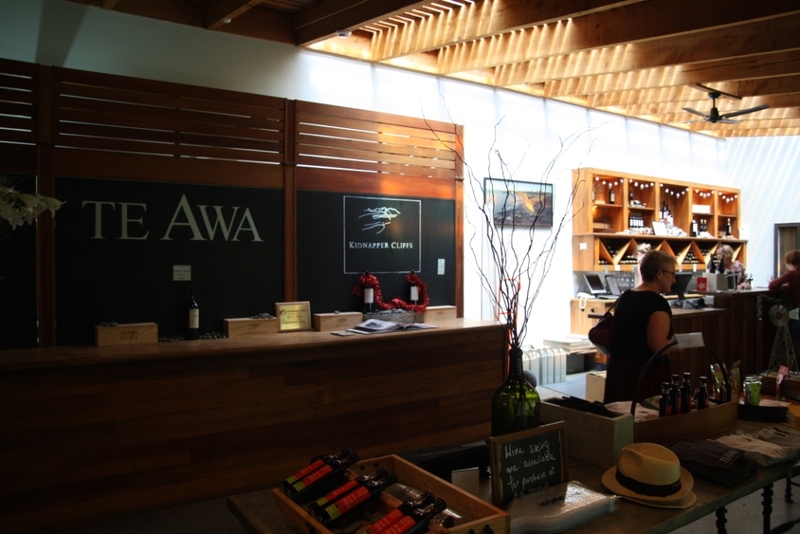 Te Awa is in the west of Hastings, and is considered to be one of the best restaurants in the region. 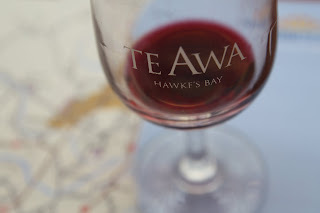 Wines are OK, but not as rich as what the region [Wine Hawke's Bay] can propose. 86 Clifton Road, Te Awanga, New Zealand. This is exactly what I don't like in a winery: concept estate (a life-size elephant sculpture in a winery), over designed with white couches and floating curtains, mixed wine to tailor to a vast range of customers. Unless you like tainted wine and bling-bling, you should focus on something else instead. At the end of a long, curly road stands a giant peak overlooking the valley. Te Mata viewpoint is a must do when you want to have a look at the lovely surroundings. Opera Kitchen is the award-winning place to eat here, with Hawke's Bay's finest produce sourced from roadside stalls to the local farmers market. If you need a place to eat, stop or sleep, you might want to consider the tiny Palmerston; otherwise you should go somewhere else more north or south for other options. 99 Dixon St, New Zealand. Random Turkish restaurant in a random city. Portions are large and bread freshly made. What else to ask when on a pit stop between two main cities. Te Apiti is a wind farm located on 11.5 km² of land north of the Manawatu Gorge near Palmerston North. It was New Zealand's largest capacity wind farm until September 2007, when the third stage of the nearby Tararua Wind Farm was completed. The $100 million wind farm consists of 55 separate turbines. Each turbine is atop a 70m high tower. It is fitted with 3 blades each 35m in length. Wellington is the capital city and second most populous urban area of New Zealand, after Auckland. It is at the southwestern tip of the North Island, between Cook Strait and the Rimutaka Range. It is home to close to 400,000 residents. Squeezed between nearby mountains and a natural bay, Wellington is called the windy city. 153 Featherston Street, Wellington 6001, New Zealand. Very centrally located, the hotel is very convenient, clean and quiet. Room are small, but the bill is not. 232 Oriental Parade, Wellington 6001, New Zealand. No mistake for this dinning experience. All was close to perfect. View, service and food were all excellent. Very nice Christmas dinner indeed. 192 Cuba St, Wellington 6001, New Zealand. Logan Brown restaurant is a 1920s revamped bank chamber with high ceilings, private dining room and a separated dining booth. In 1996 Al Brown and Steve Logan had a vision. They wanted to take the standards of fine dining in New Zealand to a new level. Today, their success is well deserved and must be tried out to compare with other great restaurants in the region. 18 Majoribanks Street Mount Victoria 6011, New Zealand. A detached house transformed into a restaurant, Ambeli has everything to be the best place in town. Nice food, sassy (and sometime long) service, great wine list. If I had to recommend only one restaurant in the North Island in New Zealand that would be Ambeli. Atop the nearest mountain in Wellington, the lookout is stunning across two bays. This is a must-do if the weather permits. Lambton Quay, Wellington, New Zealand. The Wellington Cable Car is one of the oldest and most popular tourist attractions of the city. The cars run from Lambton Quay in the heart of the central business district, and within 5 minutes whisk you from under the corporate towers of The Terrace past Kelburn Park and Victoria University to the top entrance of the Wellington Botanic Gardens with its magnificent lookout over the city and harbor - Te Whanganui-a-Tara (The Great Harbour of Tara). A great place to watch the sunrise. 55 Cable Street, Wellington 6011, New Zealand. Certainly the biggest and most enjoyable Maori museum in New Zealand, this 5-level museum describes mostly what was their life before settlers arrived, as well as what is New Zealand today. You can spend an entire afternoon in this modern and large museum targeted to adults and kids of all age. Heineken Hotel 5 Cable Street, Te Aro 6011, New Zealand. This is the place to have a drink after a long museum visit next door. Usually people are lying on the grass in the front when the sun is out. In conclusion, the North Island of New Zealand is a mix of urban place with some National Parks in between. Large concentrated population gives one a chance to have the best food at reasonable prices in the country. The North is not at vast as the South but is more accessible money-wise and distance-wise. Should not be ruled out if you want to have a complete New Zealand experience. The South island provides the New Zealand scenery.